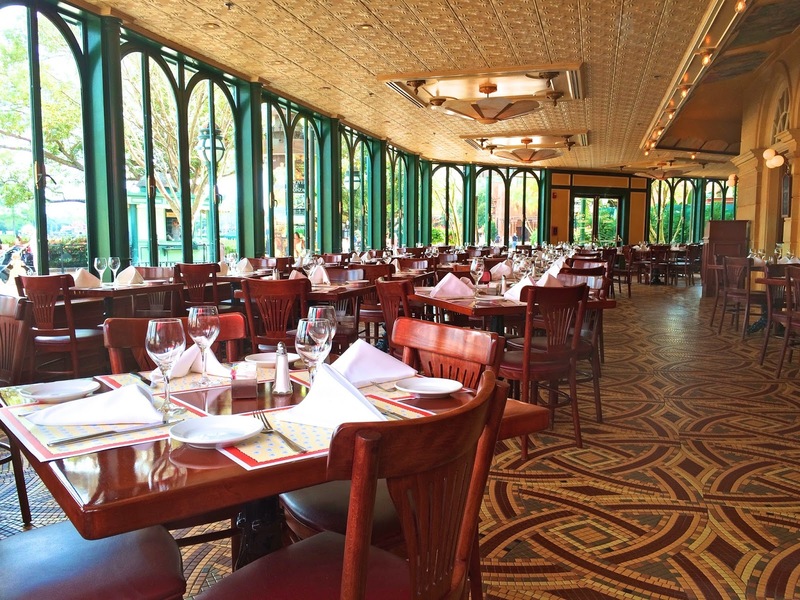 On our latest trip to Disney World, we ate at a few new places. I shared our experience at Nine Dragons last week. You can read about it here in case you missed it (http://www.plainchicken.com/2015/03/nine-dragons-restaurant-epcot-disney.html). 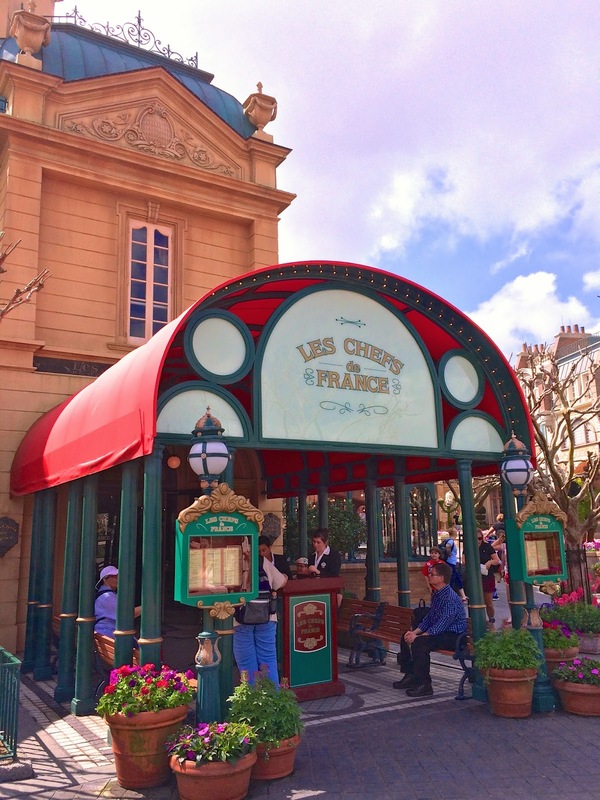 We have never eaten in the France Pavilion in Epcot. I've have some vodka slushies from the stand in France, but we've never eaten at the restaurant. We decided to give it a try on this trip. It was, in a word, delicious! We had a reservation at 12:00 for lunch. Noon is the first reservation. We got a wonderful window seat!! They seat you in the order that you check in with the hostess. They seat the parties of 2 along the windows first. Get there before 12:00 so you get a good window seat. Chicken Legs started with the French Onion Soup. This was his first time having French Onion Soup and he loved it. The bowl was big enough to share. It was incredible. I wish I had a bowl right now! All the gruyere cheese and that yummy bread. Oh my goodness! 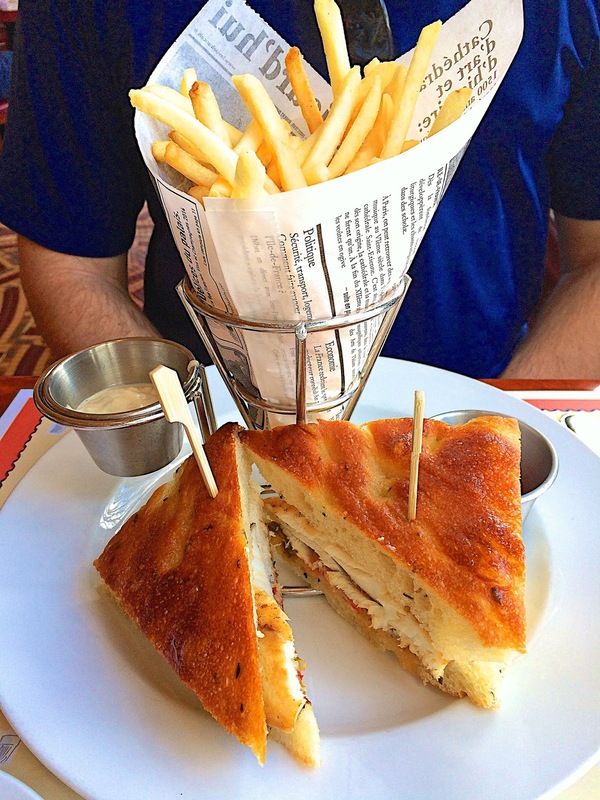 For his entree, Chicken Legs got the Mahi Mahi Sandwich with fries. 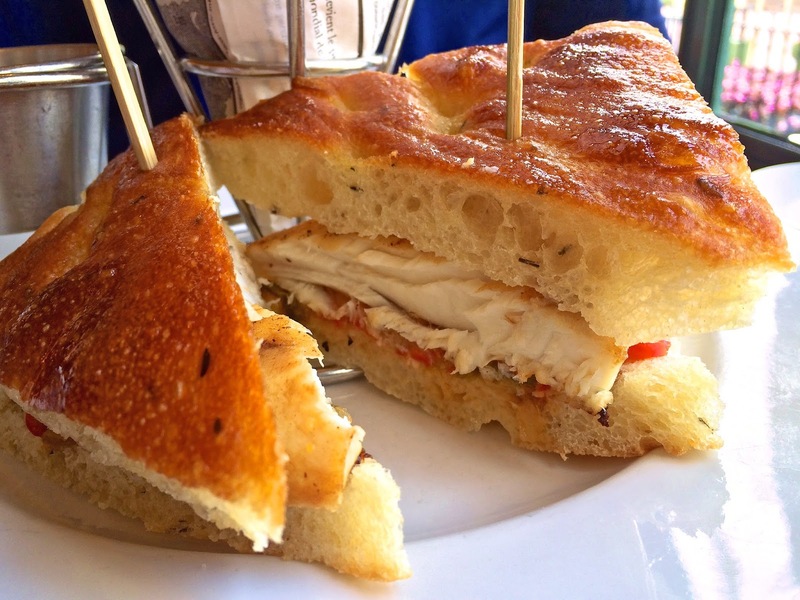 It was tender fish served on focaccia bread. I went for the Croque Monsieur. 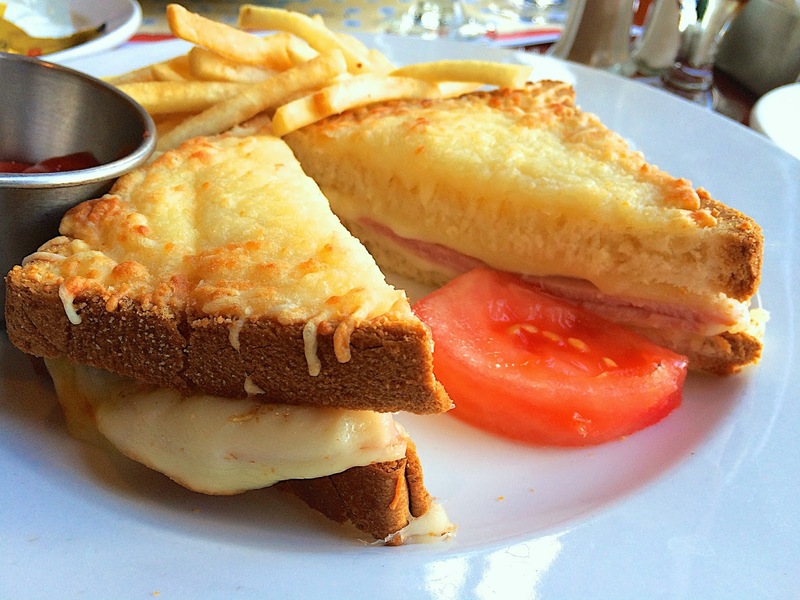 It is a fancy ham and cheese sandwich. It was SO good. 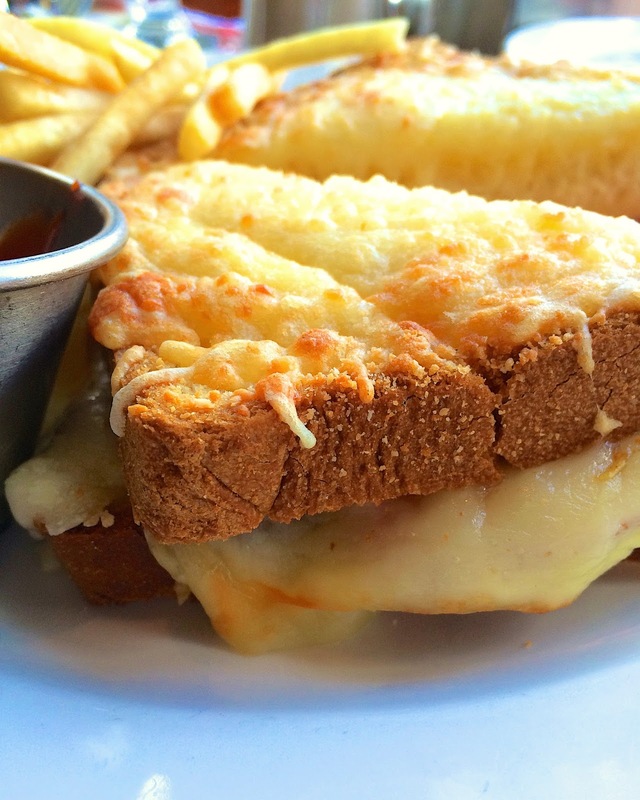 The bread was crispy and had tons of great toasted cheese on top. We couldn't pass up dessert. 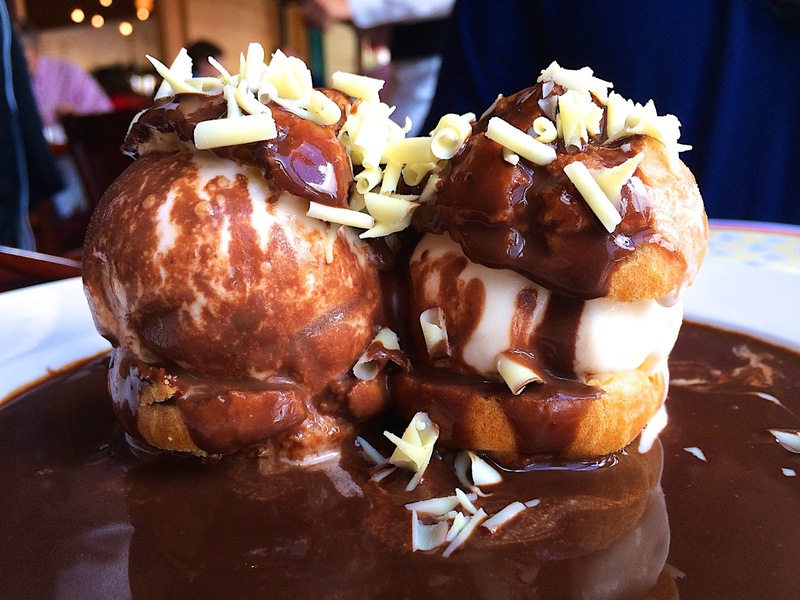 We got the Profiteroles with ice cream and chocolate. I could have just had the soup and this dessert. It is worth checking out Chef De France just for this dessert! Fabulous looking sandwiches! 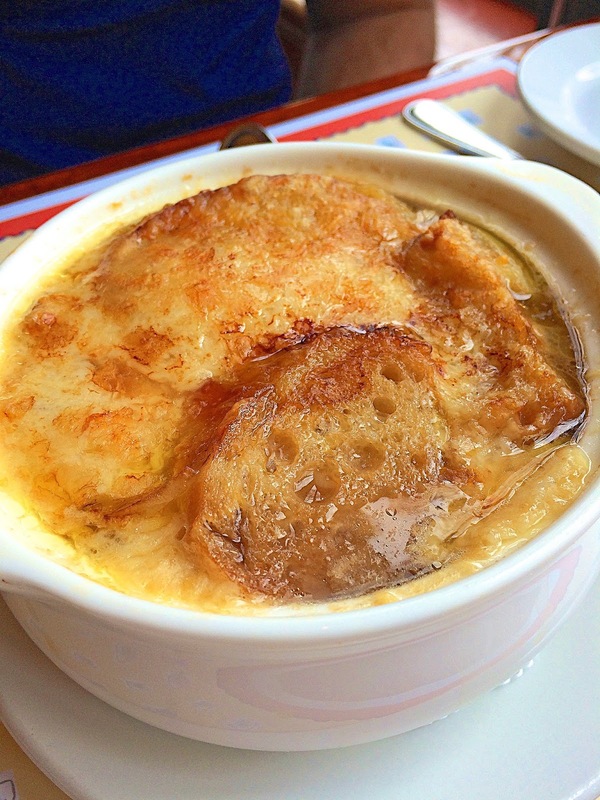 And I love French Onion soup. Can't believe this was your hubby's first time having this great soup! I'm very sure he will be having it again and again and again... Love your reviews of Disney/Epcot restaurants; so many great choices to look forward to on my next visit there. We didn't eat in France when we visited EPCOT last year, but we tried the crepes at a vendor outside ... they were AMAZING! 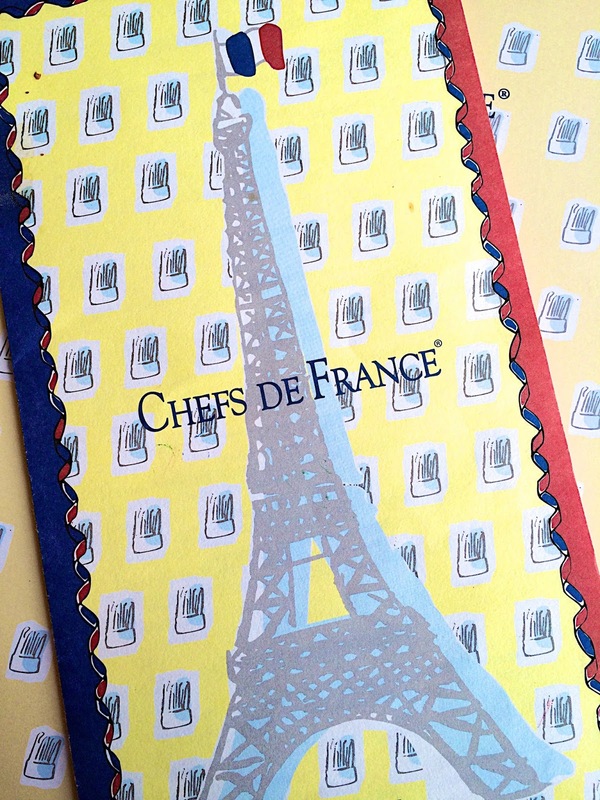 We'll have to eat a meal in France next time.